STEVEN M. BRAGG, CPA, CMA, CIA, CPIM, has been the chief financial officer or controller of four companies, as well as a consulting manager at Ernst & Young. He is the author of seventeen books. 1. General Discussion of Accounting/Statistical Standards. 2. Planning and Control of Sales. 3. Planning and Control of Marketing Expenses. 4. Planning and Control of Manufacturing Costs: Direct Material and Direct Labor. 5. Planning and Control of Manufacturing Costs: Manufacturing Expenses. 6. Planning and Control of Research and Development Expenses. 7. Planning and Control of General and Administrative Expenses. 8. Planning and Control of Cash and Short-Term Receivables. 9. Planning and Control of Receivables. 10. Planning and Control of Inventories. 11. 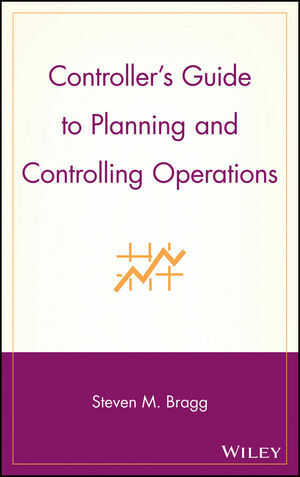 Planning and Control of Plant and Equipment of Capital Assets. 12. 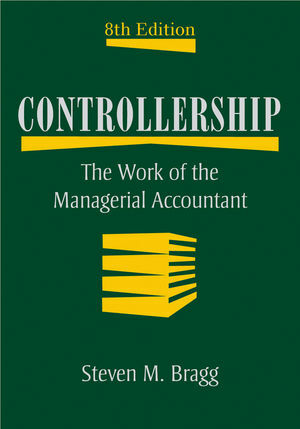 Planning and Control of Liabilities. 13. Management of Shareholders’ Equity.